If reports are to be believed, even English Premier League trio Manchester City, Liverpool and Chelsea want a piece of Die Breisgauer's Turkish delight. "He's not for sale," stressed Freiburg sporting director Jochen Saier recently. "It doesn't matter how much money's involved, he's not going anywhere. He's done really well and we want to continue working together - and he does, too." His employer's effusive praise aside, Söyüncü's transition to Germany's top tier was not entirely blemish-free. The former Altindoru man gave away two penalties in his first two months of the 2016/17 season - against Hoffenheim and Mainz - and understandably needed time to adjust to the tactical demands of his new footballing surrounds. Yet with natural pace - especially over short distances - the ability to read and time a tackle to near-enough perfection and an open mind - qualities that have seen him likened to Bayern Munich defensive rock Mats Hummels - the progression was never going to take long. "I've learnt a lot, especially tactically," revealed Söyüncü, who won 66 per cent of his attempted challenges last term. "For me it is like a puzzle - first the instructions are quite abstract, but in the end everything gets a practical dimension. That really excites me." 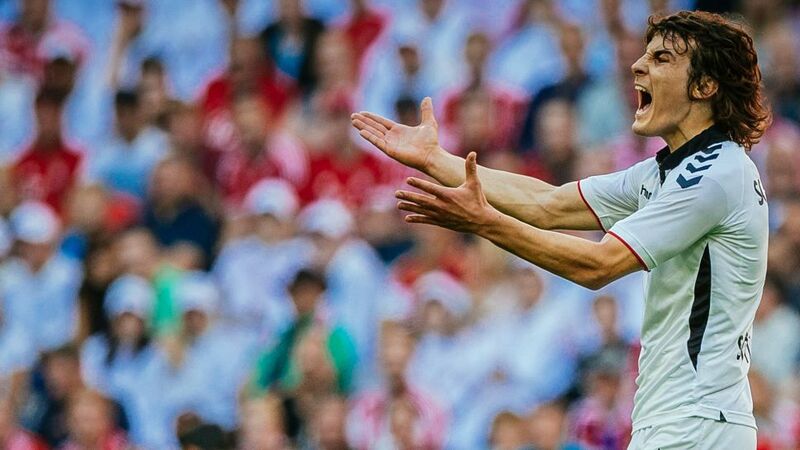 Söyüncü's raw talent, eagerness to learn and passion for the game earned him 24 first-team appearances in his debut Bundesliga campaign. He has made a further 25 outings in Freiburg colours so far this season, with only injury or suspension getting in the way of more top-flight minutes. The Turkey international even scored his first Bundesliga goal in a 3-2 win over Hoffenheim on Matchday 7. "It was an unbelievable feeling," 21-year-old Söyüncü commented after helping Freiburg belatedly pick up their maiden win of 2017/18. "I've tried my luck before, but it hasn't happened for me. It's a ripening process. I need to make sure it continues." Click here for more Freiburg news, views and features!